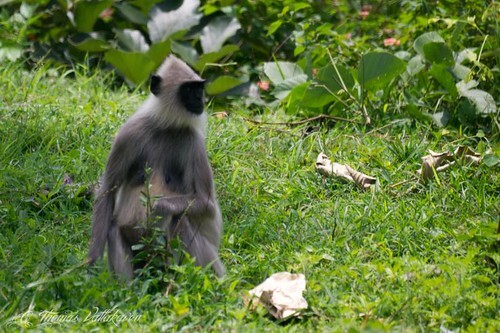 The Common Langur (Semnopithecus entellus) is also called as the Gray langur or Hanuman langur, named after the Hindu monkey-god Hanuman. 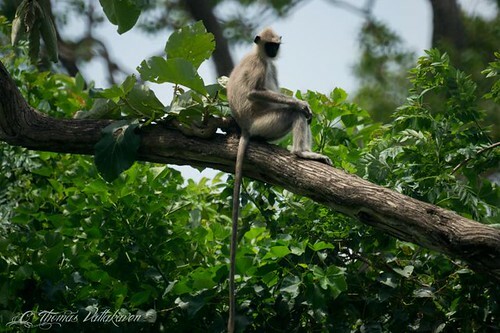 These are large gray monkey's with black faces. However, they may be less gray, more yellow or brow, depending on the subspecies, of which there are about 15. The various species mainly differ in the darkness of the hands and feet, the overall color and the presence or absence of a crest. 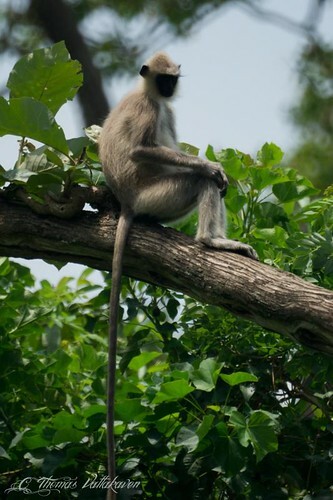 These monkeys have have a tail that is always longer than their body. 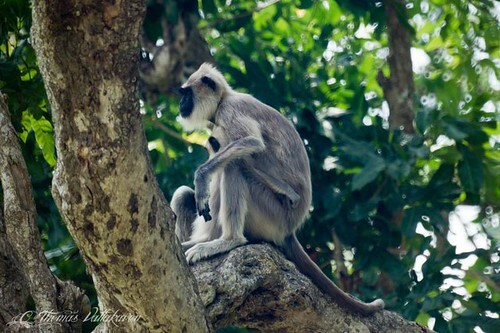 They are mostly terrestrial, inhabiting forest, open lightly wooded habitats, and sometimes, urban areas. 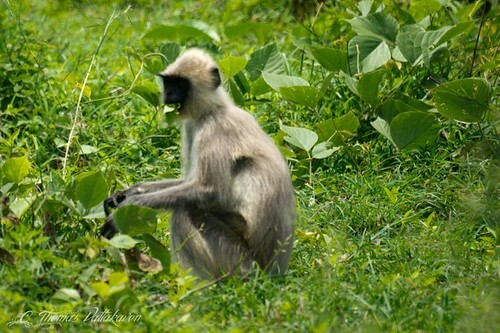 The Langurs from the southern part of their range are smaller than those from the north. 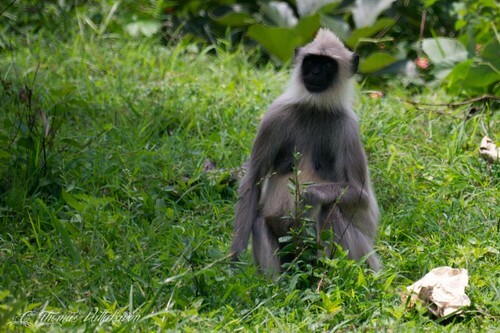 These langurs mostly walk quadrupedally and spend half their time on and the ground and the other half in the trees. They will also make bipedal hops, climbing and descending supports with the body upright, and leaps. They are known to leap distances over 4 meters horizontally or more while descending. 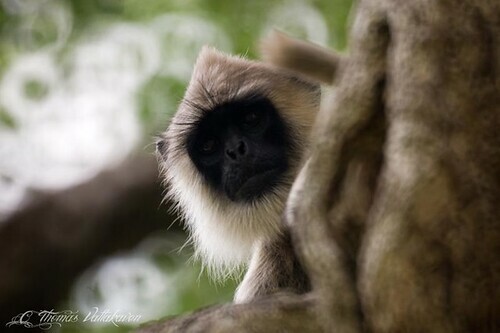 They are diurnal, generally resting and sleeping in trees during the night. They are preyed upon by a wide variety of predators including leopards, dholes, tigers Wolves, jackals and pythons. They feed on leaves and leaf buds of herbs. They also feed on other vegetative matter including fruits, comes and nuts and non-vegetative matter such as spider webs, termite mounds and even cremated human remains. They drink rarely and get most of their water from the moisture of the the food content. They may exist as all male groups or multi-male or uni-male groups with females and offspring. Social hierarchies exist for all group types. Reproduction appears to be year-round, but may depend on the locality and availability of food.Females usually give birth to a single infant. 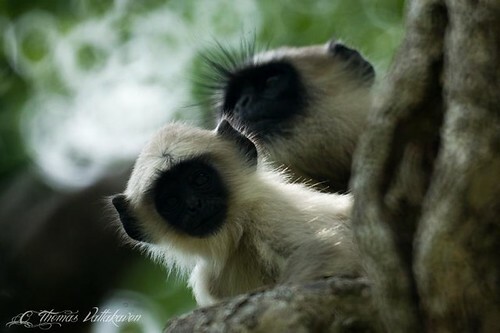 Infanticide is common among gray langurs. Males kill infants that are not their own. Infants are weaned by 13 months.